The following essay was written for the December 2000 issue of Endless Summer Quarterly. "I walked into the house, threw off my wife's clothes, ripped off mine. It was cold, and I went to slam the door, only we'd just moved and I'd forgotten that the door was made of glass, and I put my hand right through it." 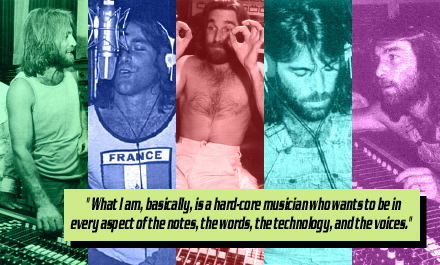 --Dennis Wilson, explaining his hand injury, 1971. Like the man himself, the music of Dennis Wilson knew how to make an entrance! In 1968, Like a blast of fresh ocean air, Dennis' sounds blew through the windows in what was quickly becoming a stuffy room, and those with ears to hear breathed deep and felt a little better. In 1968, the first fruits of Dennis's new labor, appearing on the album "Friends", were deceptively quiet and unassuming. "Be Still", "Little Bird" - The titles alone suggest a story of humble efforts -- but to those who were listening, it was suddenly apparent that something new and important was happening. A fresh source of soulful, vulnerable, quirky (hmmm...sound familiar?) songwriting was emerging. On the next album, "20/20" , there were 3 MORE tracks from this new source to consider, and on the flip-side of their next single, another surprising composition called "Celebrate the News" appeared. Then, on 1970's "Sunflower", that new source EXPLODED. The gauntlet hit the ground. That was it -- there was no turning back, and within two years collaborators like Steve Kalinich, Stanley Shapiro, and Darryl Dragon had helped Dennis identify a lyrical tone and an individual voice in the shadow of a musical giant's recent and daunting legacy. "Now we're gonna turn it over to Dennis... he's gonna sing a song for ya that -- hasn't been recorded yet but, it's really -- one of my favorite songs that -- I've ever heard." Just out of the blocks, and Dennis was immediately all over the track...romantic ballads, hard rock anthems, meditative hymns...the floodgates were open. In the space of just 5 years, record buyers that hadn't yet given up on the band heard Little Bird, Be Still, Be With Me, All I Want to Do, Never Learn Not to Love, Celebrate the News, Sound of Free (UK), Lady (UK), Slip on Through, Got to Know the Woman, It's About Time, Forever, Make it Good, Cuddle Up, Steamboat, Only With You . In all, 15 songs had been released in the US, a single and B side in the UK , and many more were still in the can. Dennis had co-starred in a film, his music had been covered by the group American Spring, a solo album was being considered, and 73 wasn't even over yet. In 1977, 8 years after his first single, Dennis finally released that solo album. Pacific Ocean Blue, a stunning collection of dense, emotionally evocative compositions was receiving critical praise and respectable sales, but Dennis, never one to look back or stand still, was already back in the studio. By this time, the music itself was more mature, more emotionally and sonically complex, more evocative and resonant than ever. Dramatic compositional differences were evident between his early work and the music on POB, but Dennis was still pushing his style into new areas. Sadly, what followed -- the music comprising the end of Dennis's ouvre -- was to experience a significantly less auspicious appearance than his first recorded compositions. "The next album is a hundred times what Pacific Ocean Blue is. It kicks. It's different in a way. I think I have more confidence now that I've completed one project, and I'm moving on to another... They (the record company) call it one, two, three. I just don't stop recording." There is evidence of both growth AND continuity in the music Dennis continued to work on after POB, but these songs suffered a much different fate from all their predecessors in that, apart from a couple of songs, they were never heard by an audience...hardly heard by ANYONE until after his death, and only then on a couple of rare bootlegs: one, a vinyl disc appearing in the late 80's; one, a CD bootleg from the mid 90's. Bamboo -- that's what we now call this unfinished project, although it is unclear if Dennis ever did. After the demise of Brother studios in the late 70s, Dennis and POB collaborator Gregg Jakobson discussed the possibility of developing a studio complex and production company based in Hawaii, the name of said company being Bamboo Productions (Jon Stebbins -- Dennis Wilson, The Real Beach Boy, p. 192). While it is hard to find recorded references to a title for the follow up solo album, over time, it has assumed the name of this proposed Hawaii enterprise. Songs commonly included in the unofficial "Bamboo" roster include: WILD SITUATION, MOONLIGHT, BABY BLUE EYES, SCHOOL GIRL, COMPANION, LOVE SURROUNDS ME, HE'S A BUM, IT WON'T BE LONG, HOLY EVENING, ALL ALONE , 10,000 YEARS, and NEW ORLEANS. A few of the songs from this group have their roots in the Pacific Ocean Blue sessions, but set aside along the way, only to be reworked after POB's release. Many, though, were begun well after POB's release, and show significant differences from that record, demonstrating Dennis' consistent curiosity and progression as an artist. With such musical growth taking place, it is unavoidable that the question would be raised...why did the recording slow down, and then stop?...Why wasn't the record finished before 1983? Students of The Beach Boys' history surely can't help but see at least a few parallels to a certain other ill-fated, unreleased album. An intense debate continues to this day as to the cause of "Smile"'s eventual demise, involving a myriad of proposed reasons ranging from substance abuse to conflicts within the group to a lack of resolve. Some of these same possibilities have been advanced when discussing Bamboo. From a musical-process angle, I believe one particular reason merits special exploration. It seems that Dennis had developed a very personal and idiosyncratic style of creating music -- one in which the traditional roles of composing, arranging, recording, and producing were blurred and merged, resulting in a unique process -- a process with a delicate balance that, if unduly affected by forces outside of the process -- could easily collapse. "My music is me. On the album, I did 99% of it myself. All the instruments, all the engineering, the words, the music is mine...and me." Dennis had, over the years, developed a style of working organically and spontaneously in the studio. Using the recording studio as a compositional tool, product took a back seat to process as a creative goal. Unlike brother Brian who, at his zenith, had it all worked out in his head and could spontaneously and without hesitation scratch out charts for all the session cats as they watched with amazement, Dennis had to feel it, hear it...test the limits...coax the song, seduce the melody, massage the arrangement, until it sang back to him. Dennis didn't want to make kids dance...he wanted to make women cry. And if it meant making men well up in the process, so be it. While it is assumed, and rightly so, that Brian was capable of playing all the instruments and singing all the vocals that he heard in his head, this was both impractical and unsatisfying to him. At his peak, Brian worked best as autuer/director, utilizing the strengths of expert instrumentalists and finely nuanced voices to achieve a nearly preordained end-result. It may not be as readily assumed by many that DENNIS was capable of playing almost all the instruments on his songs...but, in fact, he DID. While the credits on POB show characteristic humility, it is, in fact, documented that Dennis played almost all the instruments on that album himself. Like Brian, he could do it...unlike Brian at his peak, he DID. This style of composing organically -- on the fly -- inventing and laying down tracks one at a time, layering light, translucent instrumental passages veil-like over each other...it took time. And sadly, Dennis was running out of time. As the fortunes of The Beach Boys faltered in the late 70's so did those of Dennis - they were, in the end, inextricably linked. CBS had soured on the BBs, and by association, Dennis. Brother Studios was sold, Dennis was strapped financially and so, without the same label support that encouraged him to finish POB, and without the free use of a studio at any time of the day or night to facilitate his spontaneous style, progress on the album slowed down, then ground to a halt. Circumstances that had aligned themselves to aid in the development of a unique recording style evaporated. The process that had worked so well to produce POB collapsed, and with it, the promise of Bamboo. "I like (Dennis') music better than some of our stuff. When I listen to his music now, it's like, " God, that's better than anything we've ever done." In his final years, Dennis received respite from his studio-nomad status in three different ways from three different people. In 1979, Dennis began dating Christine McVie. Throughout Dennis' life, he had always equated music with love and romance. The most consuming relationships in his adult life were those with his women and his collaborators...the driving motivators in his life were creating music and being with women. Finally, Dennis had found both of these priorities in his life embodied in a single person, and the two became completely absorbed in each other. Dennis accompanied Fleetwood Mac on the road, with Christine assuming marriage to be forthcoming. Many who knew the couple have attested to the fact that, inevitably, much music was written by these two accomplished songwriters. It is also inevitable that some of it would be recorded. We wait to hear these songs. In 1981, Dennis began to write and record music with Brian at Village Recorders, resulting in such tunes as "Oh Lord" and "Night Blooming". Stories of these sessions have become infamous in Beach Boys lore: they are sometimes referred to as the notorious "hamburger sessions", a reference to the reward strategy allegedly employed by Dennis to motivate Brian's songwriting activity. Unfortunately, ground beef was not the only substance reportedly abused at these sessions and soon the BBs made a point of keeping the two apart -- but not before a significant amount of tape had passed through the studio recording decks. We wait to hear these songs. Finally, in his book �Dennis Wilson, The Real Beach Boy�, Wilson biographer Jon Stebbins reveals that, with nowhere left to turn, Dennis made one final attempt to finish Bamboo at the home recording facilities of Beach Boys� soundman Tom Murphy. In an interview with Stebbins, Murphy attests to the challenge of keeping up with Dennis' style of recording. 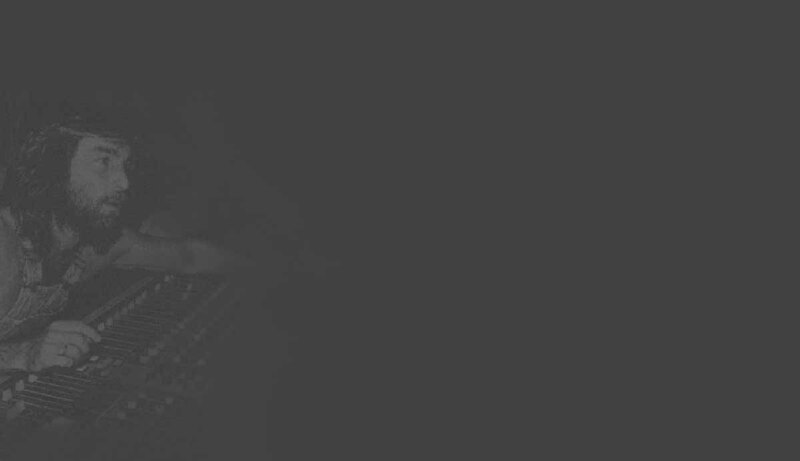 While some of the songs commonly included on Bamboo's roster may have been developed during these sessions, much of it is still, as they say, in the vaults. We wait to hear these songs. In its somewhat raw, incomplete state, the Bamboo known to persistent collectors stands as a dramatic testament to the life of an artist in conflict and turmoil. 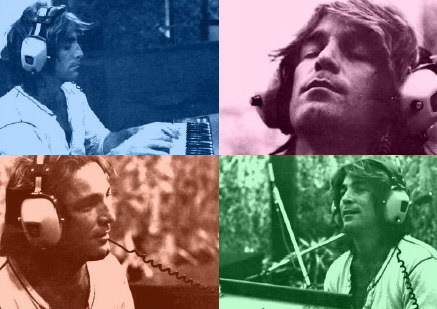 Both uplifting and heart-rending; sometimes devotional, other times lusty; first haunting, then rollicking; occasionally aggressive, more often tender, Bamboo, more than any other collection of songs, is the musical incarnation of the complex character and untamable spirit of Dennis Wilson. Like the man, the album is a work in progress -- like the man, it was never finished. It exists, forever frozen in a state of promise and possibilities, offering tremendous rewards while it spins, but at it's end, evoking the bittersweet question of what might have been.